Can you guess what all of these statements have in common? They’re popular self-descriptions voiced by kids with learning disabilities. When children can’t keep up at school, the first thing that starts to plummet is their grades. The second (and perhaps more important thing) is their self esteem. have been struggling at school for years, before teachers or parents were even aware there was an issue. And by the time the diagnosis is made, significant damage to self esteem and self confidence has already been done. when there’s no money to pay for food, clothes or dentist bills? Yad Eliezer’s Shalhevet Early Learning Initiative was established to provide help for kids in this precarious situation. 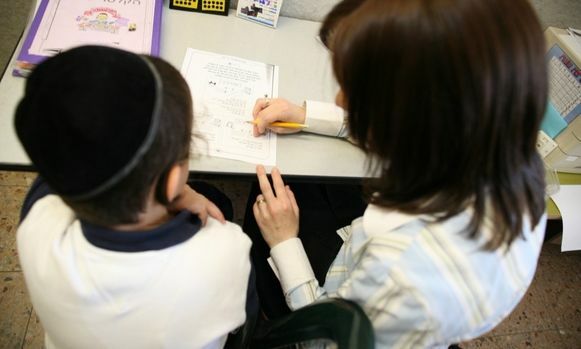 With early childhood intervention a priority, our program places educational diagnosticians and other professionals in Israeli schools who work specifically with struggling students from lower socioeconomic backgrounds- identifying their needs and working on improving their skills. By doing so, we’re able to give them the help they require-thereby improving their grades, their self esteem, and hopefully, their chances at a more successful future. There are many kids in need, and the waiting list is long. Your donation will make a difference. About 750 students are helped through this program. Thousands of boys and girls from dysfunctional homes in Israel are given the chance for a healthy future thanks to the Big Brothers and Big Sisters Program. Arrange Kaddish prayer services for a loved one while supporting our poverty relief programs. For your bar mitzvah project, help a fellow bar mitzvah boy in Israel who would not be able to celebrate without you through our twinning program. A beautiful commemoration or gift! While we celebrate the Holidays, IDF soldiers defend us on the front lines. Some of them live in poverty and cannot afford proper holiday meals. Let’s not forget them. Let's give them a taste of the holidays! The Widows and Orphans Fund supports hundreds of families monthly with dignity, by coordinating a range of services for those who have experienced untimely loss. The Keren Yehudit Fund was established to help orphan brides in need, by supplying them with brand new basic appliances, so they can set up their homes just like other new brides. Find out what Midot says about us! See what Charity Navigator has to say about American Friends of Yad Eliezer! Yad Eliezer was founded on the premise that every Jew in Israel is entitled to a life of dignity, self-reliance, and self-respect. Established in 1980 with the single objective of delivering monthly food baskets to hungry families, Yad Eliezer has grown to encompass nineteen economic and social service programs that impact on the lives of over 18,000 families each year. Each component of Yad Eliezer's comprehensive welfare system which includes nationwide distribution of essential food, clothing, and household items, job training, and child mentoring programs contributes towards the fulfillment of its mandate to engender economic recovery and social development in Israel. You must enter an actual donation option. You must enter in a valid money amount.